Technology in education facilities is extremely important. With our suppliers, we incorporate fully collaborative rooms to suit many different needs. Distance learning allows the students in your classrooms to engage in your discussions without being present in the area that you are presenting. Lecture capture allows professors to record their entire sessions so that students who are not available to attend can watch it on their own time. This also allows students to have all of the classes’ recordings to review even if they attended. The two most popular signage applications are digital signage and video walls. These products are very unique because they allow you to provide customized content for your audience. You are able to display advertisements, information, scheduling, as well as entertainment. 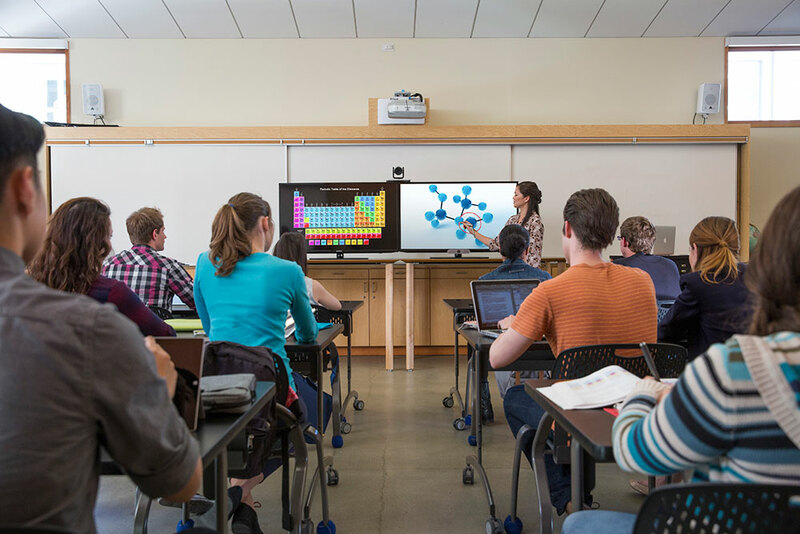 Video conferencing makes it very easy to connect multiple education facilities at once. Many educational programs are now offered throughout various locations, and with video conferencing you are easily able to connect them all together.